Parliament’s Committee on Communications will start to shortlist candidates for the SABC board on Thursday. It will no longer conduct exit interviews with the board members who have resigned. The shortlisted candidates will be chosen from among the 233 received nominations. On Tuesday, the committee put the shortlisting process of SABC board nominees on hold. When the committee held its first meeting to start the short listing process on Tuesday, it decided to call the board members who resigned to conduct exit interviews with them next Tuesday. It would only have been after the exit interviews when the committee would have decided on the way forward. One of the options was to dissolve the current four member board and appoint an interim. It says it will now shortlist the 24 candidates, publish the names on the parliamentary website and start with the interviews from March 5 – 7 next week. The successful candidates will be recommended for appointment to fill eight vacancies. 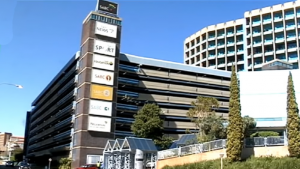 The post Committee to start shortlisting SABC board candidates on Thursday appeared first on SABC News – Breaking news, special reports, world, business, sport coverage of all South African current events. Africa's news leader..